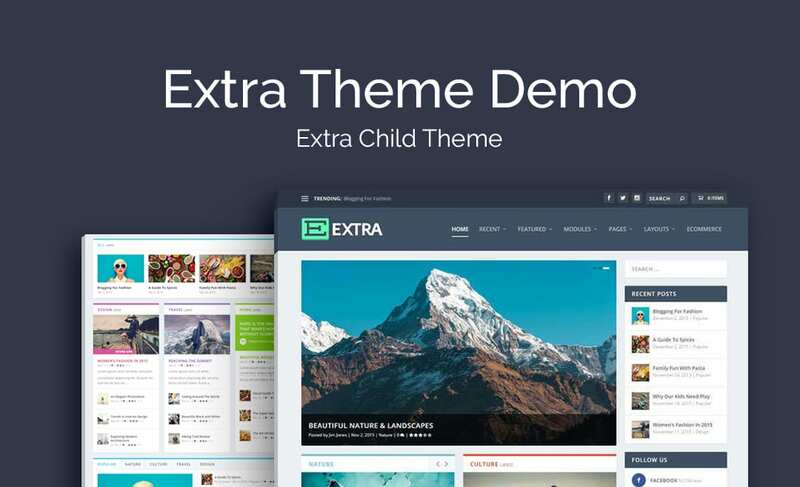 Perfect for brands or business with a strong focus on content creation, Extra Theme Demo is a premium child theme developed for use with the Extra parent theme. 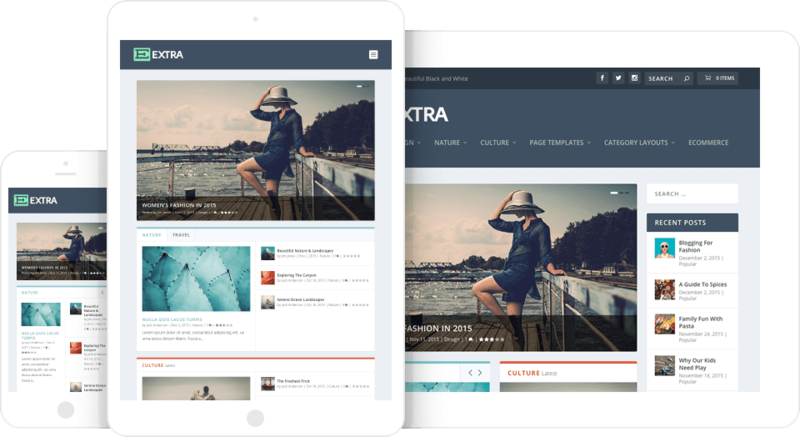 Offering a variety of content publishing options, Extra Theme Demo allows its users to choose from four different blog post layout templates, and too, includes an image-driven portfolio display for those who have a strong focus on image publishing. Walden includes a range of premium features including a login customizer, a 404 error page template, as well as the Aspen Footer Editor plugin. 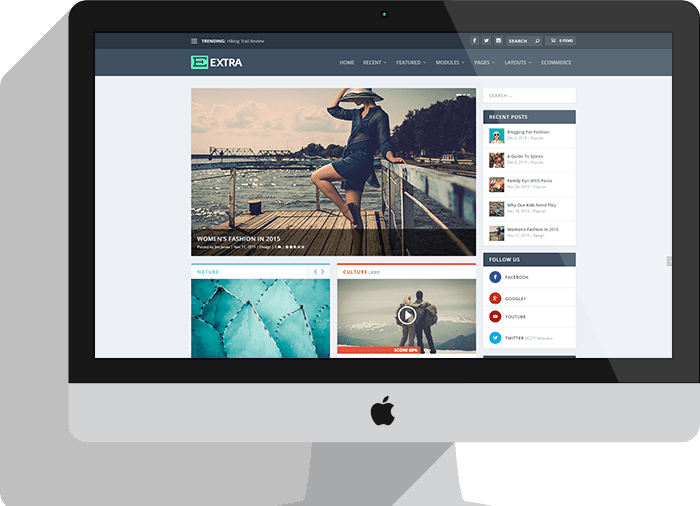 Designed for bloggers and photojournalists, or brands with a strong focus on content publishing, Extra Theme Demo is a premium child theme developed for use with the Extra theme. Developed specifically to aid those that publish either multiple forms of content or those who’d prefer a variety of content display options, Extra Theme Demo ships with two custom-post-type sections, four different blog post layout templates, as well as an image-driven portfolio display. 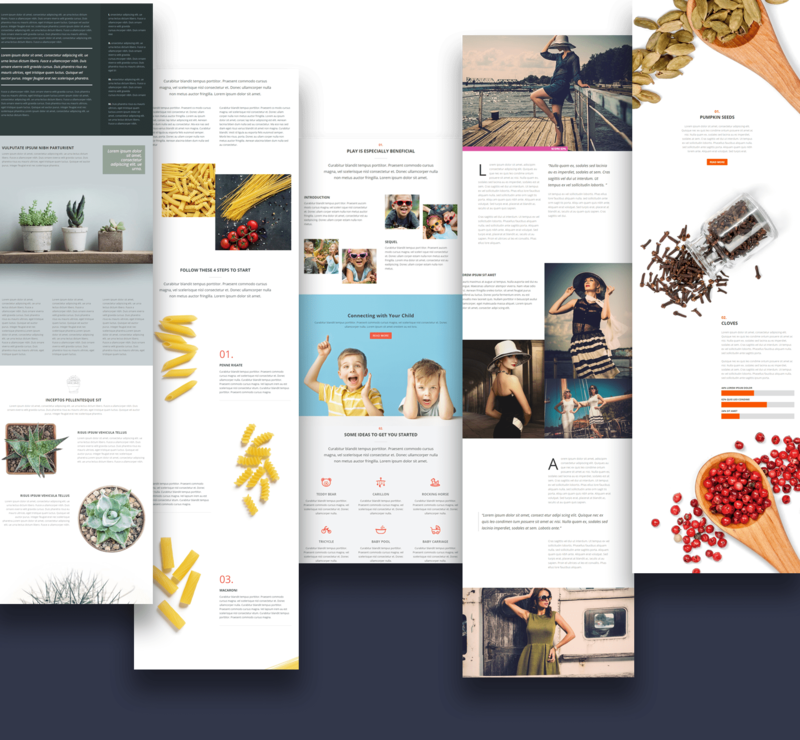 With its muted blue-hued color palette and elegant font pairings, Extra Theme Demo’s sophisticated aesthetic, teamed with its variety of content display options, sees this Extra child theme become a perfect publishing platform. The Extra Theme Demo theme is easily customizable and can be adapted to fit any brand identity and style. For brands wanting to begin selling products online, Extra Theme Demo comes WooCommerce ready.